STATEMENT OF BUSINESS: As a not-for-profit, wholesale, electric generation and transmission utility, Sunflower Electric Power Corporation is owned and governed by six Member distribution cooperatives who now serve more than approximately 200,000 people in central and western Kansas. Joining in 1957 enabled the six distribution systems to provide affordable, reliable power to customers in 36 western Kansas counties. FACILITIES/WORK FORCE: Sunflower is headquartered in Hays, Kansas, in the former St. Anthony’s Hospital building. Dedicated in 1931, for 41 years the structure now owned by Sunflower served the medical needs of northwest Kansas until the hospital was relocated on the east side of Hays. From 1972 to 1982, the former hospital building was unused. In 1982, the Sunflower Board of Trustees purchased and renovated the building for the new headquarters. The decision to refurbish the Hays landmark versus erecting a new building saved the corporation more than $2 million. Currently, the Sunflower workforce at six generating stations and outlying offices is approximately 400. 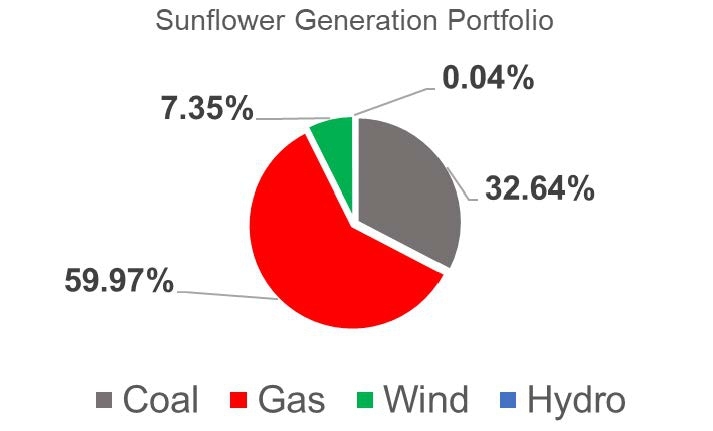 SUNFLOWER’S GENERATING CAPACITY: Sunflower owns and operates both natural gas and coal-based electric generating units. The Garden City Complex is comprised of three natural gas units that total 240 megawatts. Holcomb Station is Sunflower’s coal-based unit that has is 349 megawatts. Holcomb Station is Sunflower’s coal-fired generation facility, located approximately seven miles west of Garden City, Kansas. Construction of the plant began in 1980 and was completed in 1983. The Garden City natural gas-fired turbine facility is located in Garden City, Kansas. Construction of the multi-unit facility began in 1968 and was completed in 1979. CONTRACTED CAPACITY: Sunflower has a Power Purchase Agreement (PPA) for 50 megawatts of wind generation from the Smoky Hills Wind Farm, located near Lincoln, Kansas. Sunflower also has a PPA for .3 megawatts of hydro generation through Western Area Power Administration. 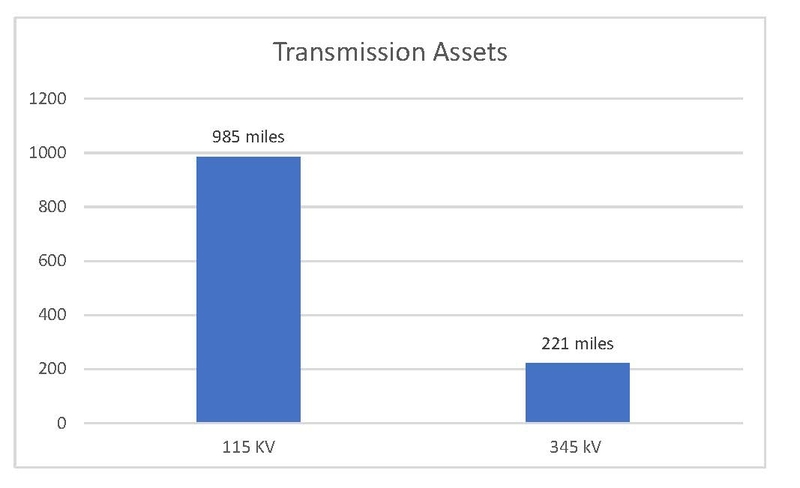 TRANSMISSION SYSTEM: Sunflower owns and operates 115 kV and 345 kV transmission lines across more than 1,200 miles in 36 Kansas counties. SYSTEM PEAK: The Sunflower system peaked at 567 megawatts in July 2011. Click here to request high-resolution photographs.